Take your training to the next level with powerhouse preworkout nutrients. Here’s what to look for. Getting psyched for a workout can take many forms. Maybe it’s a playlist of killer tunes that get you going. Or you’ll look at photos of Golden Era bodybuilders to get you fired up to emulate their look. Attitude is important. You want to attack the weights with focused intensity—train hard but train smart. The better the workout, the better the results. But beyond your mental prep, there are things you can do to optimize your muscle-building results. This is where preworkout products come in. These ready-made nutrition stacks are designed to help jack up your strength levels, improve blood flow, and give you an awesome pump. And that makes for a more satisfying, more productive workout. Bodybuilders thrive off a great pump. Newbies who start out with weights can become addicted to it. Is there a better feeling during a workout than having your target muscles engorged with fluids? But it’s more than a great feeling. A pump can benefit your bodybuilding efforts by stretching your muscle cells to help growth-inducing nutrients to flood into your muscles. Increased blood flow in particular helps muscle heal and grow from intense weight training. Pumped muscles are stronger muscles. Muscles also growing more effectively when engorged with blood. Preworkouts like Vintage Blast, have nutrients that have proven to help boost vasodilation (blood flow) to help you achieve and sustain a pump, while providing other benefits, such as increasing ATP (adenosine triphosphate), the energy activator of cells, which helps you train harder for longer. This amino acid is converted in the body to nitric oxide (NO), a molecule that plays numerous roles. For bodybuilders, you want NO’s ability to dilate blood vessels, which increases blood flow to muscles. This means that more oxygen, nutrients, and anabolic hormones are driven to your muscles, resulting in more impressive muscle pumps, greater fuel availability during workouts, more muscle strength and, ultimately, more muscle growth. Almost every preworkout has a form of arginine included, such as arginine AKG. This amino acid combines with another amino acid, histadine, to form the dipeptide (two amino acids bound together) carnosine. Research shows that muscles with higher levels of carnosine have more strength and endurance. This is also true for athletes who supplement with beta-alanine. So why not just take carnosine? Research shows that carnosine often breaks down in the stomach before it can be absorbed in the bloodstream. Beta-alanine, however, is easily absorbed, bringing carnosine straight to your muscle cells. This nutrient is composed of the amino acid citrulline bound to a molecule of malic acid (malate). Citrulline is critical for helping to remove ammonia, a toxic compound that increases fatigue when released. By removing ammonia from your body, citrulline helps to delay fatigue, especially during exercise. Malic acid helps the body convert the lactic acid that’s produced during exercise to energy. This further helps to delay muscle fatigue. Research has shown that people who supplement with citrulline malate have reduced fatigue and an increase in ATP. A lot of people underrate this amino acid because it doesn’t have a “feelable” effect, but glutamine is one of the most important amino acids for supporting health, muscle growth, and recovery. Glutamine buffers the effects of intense exercise that tear down muscles, and helps boosts growth-hormone levels. We all know this as a powerful central-nervous-system stimulant that helps to eliminate drowsiness and restore alertness, but it’s also a valuable training aid. Caffeine helps indirectly increase muscle strength and endurance in addition to helping you burn more fat and calories during a workout. But your best bet is to take caffeine not in liquids like coffee but as a supplement called caffeine anhydrous. 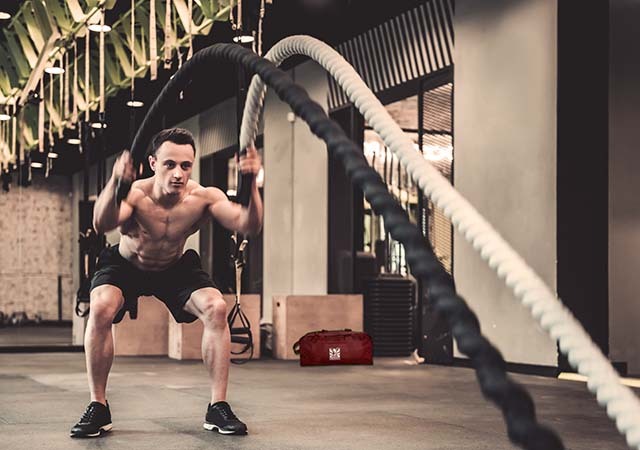 Recent studies even suggest that using caffeine, in the form of caffeine anhydrous, prior to a workout may increase both your performance and strength. The old standby can still deliver a training boost. A derivative of amino acids, creatine helps recycle ATP and hydrate muscle cells, filling your muscles with healing and growth-inducing nutrients. Creatine can also help buffer lactic acid, thus helping to increase muscle endurance. Vitamins and minerals are more powerful than you think. Having a preworkout with B vitamins, vitamin C, and other micronutrients can help reduce oxidative stress and boost your immune system. Intense weight training workouts can put tremendous stress on more than your muscles, so having an insurance policy of vitamins, as well as minerals like magnesium, can help keep you from overtaxing your body to the point where you don’t recover adequately. BCAAs consist of the three essential amino acids: leucine, valine, and isoleucine, all of which are important building blocks of muscle tissue. While they’re often thought of as recovery agents because of their effect on protein synthesis, BCAAs are more than valuable postworkout supplement. It’s not a bad idea to have these aminos in your system while training because of their beneficial effects on blunting cortisol levels, a catabolic hormone that blocks testosterone’s effects and increases muscle breakdown. BCAAs in your system can also jump-start the muscle-building process after training. Yes, simple ol’ water. A lot of bodybuilders, especially beginners, forget the importance of staying hydrated. While training, pause to drink water frequently, consuming 15–20 ounces of water throughout your workout. For best results, drink water in smaller 2–3-ounce doses every few minutes. This will provide a continual flow of fluids into your body, without slowing you down. Preworkout products can help get your body primed and ready for an awesome training session, and get you on your way to tremendous results! So what do you take before your workout? Tell us the stack that gets you going in the comments below.